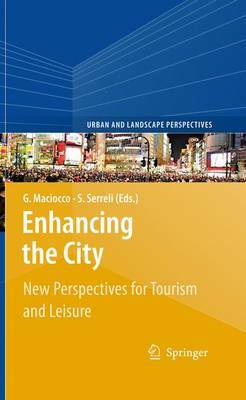 Departing from a survey on the post-modern landscapes of tourism, this book explores the transformations the city has undergone and the way it has become a simulacrum offered to tourists, spectacularised with the aim of increasing its capacity for attraction. The experiences dealt with in the papers of authors belonging to different disciplinary fields, emphasise the city's tendencies to create "stage-set contexts" of the private type, be it historic quarters, theme parks or hypermarkets. Issues like aestheticisation, thematisation and genericity are dealt with, conceptual categories that highlight the weak resistance cities put up against the rules of the leisure industry and, more generally speaking, the consumer economy. The book inquires into the capacity of the urban and territorial project to construct a perspective for a public dimension of space. This is linked with ethical action of the project involving an active relationship with places and a capacity to understand the dynamics of different urban populations. In this sense capacity for innovation and creativity can contribute to transforming "islands" of leisure into places of the city and consumers into citizens.